Summary: For the ideal piece of gym equipment to work those thighs and buttocks, the unique LegMaster is both effective and great value. By performing the simple split motion for just a minute a day you’ll notice the results quickly, this robust piece of equipment easily stored too. Users who bought this have provided some very positive feedback – see the amazon.co.uk product page for their comments. The LegMaster is a home piece of gym equipment that is designed as a weight loss aid that slims and exercises legs, thighs and bums. You’ll stand on the LegMaster and move your legs in an outward and inward splits motion, the outward sweep working your buttocks and outer thighs, while the inward sweep works the inner thighs. This low to mid cost piece of gym equipment is great for storage too, simply place it in the corner when finished! The manufacturer states that you’ll see the results from using the LegMaster for just one minute a day, as you’ll be working your muscles harder than when using similar pieces of equipment. This is because of the curved ramp, meaning that you’ll be working against gravity, using extra muscle power. The inner thighs are the muscles that do most of the lifting, these muscles not normally used in most exercises. In combination with an Abs Roller, this would be a real quick win for many of us! The LegMaster is particularly strong and robust due to the industrial steel tubing in the frame and will work over 200 muscles every time you perform a single action. The item is made more reasonable in price due to the sizable discount offered by Amazon and therefore compares favourably in terms of value to similar home gym equipment. Reviews are unanimously positive, with not a single reviewer awarding it less than 3 stars out of 5, while the majority do indeed award it the maximum 5 stars. Users state that you can feel it working immediately and that it does really have an effect on those hard to work muscles. The item is also said to be compact and easy to store away while also being good value for money. The LegMaster is a unique and excellent piece of home gym equipment. Using it for just one minute a day will see results on the inner and outer thighs and the buttocks, freeing up time in the rest of the day. The robust nature of the equipment means it will be long lasting, while storage is easy too. 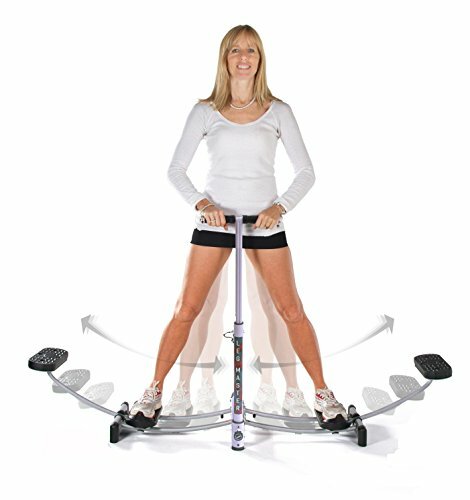 Alternatives for great legs and buttocks include Elliptical Trainers and Steppers.